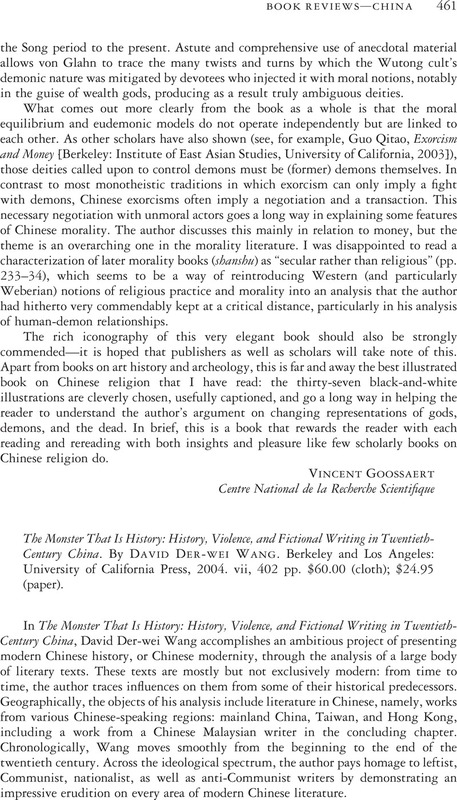 The Monster That Is History: History, Violence, and Fictional Writing in Twentieth-Century China. By David Der-Wei Wang. Berkeley and Los Angeles: University of California Press, 2004. vii, 402 pp. $60.00 (cloth); $24.95 (paper).